Homebuilders Expect a Steady Housing Market this Spring | ASTRALCOM - Content Strategy, Conversion Marketing and Customer Acquisition. Suburban homebuilders are now expecting an improved housing market due to a strong economy and homebuyer confidence. According to real estate experts and leading economists, the housing market should experience a boom in greater Chicago, which is also expected to grow in the future. The housing market is projected to grow by 3 percent this year and then see a major breakthrough in 2019. When confirming this good news during a recent a breakfast meeting, Housing Trend LLC President Lance Ramella told builders that they should be prepared for a good start compared to last year. 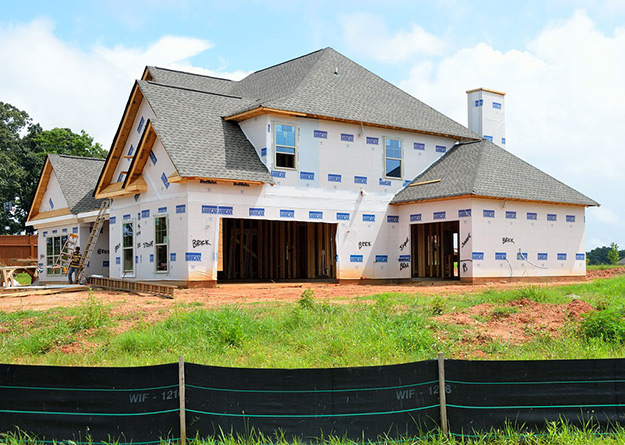 Some builders are eyeing collar counties where entry-level home buyers can find great homes under $300,000, according to Ramella. Shodeen Homes recently expressed similar sentiments where they revealed that they experienced a fantastic first month of the year and are looking forward to a good year in 2018. According to Anna Shodeen, a director from Shodeen Homes, they have come across several very qualified homebuyers who are ready to buy. These buyers know what they want and they’ve done their homework. The interest rates are good and all indicators show that there is a boom in the housing sector already beginning right now. Another homebuilder to step into this year with good results is West Point Builders. They have received a lot of interest from serious homebuyers in West Point Gardens and their new Ashcroft community located in Oswego, according to Pat Curran, the company’s president. The Ashcroft project consists of 91 single-family units and more than 200 maintenance-free townhomes. K. Hovnanian Homes is yet another home building firm that has experienced a good beginning this year as they expect to open four new communities before the end of the year. Currently, they’re working on a new project at Maple Hill where they’re already overwhelmed by the level of enthusiasm there. According to the company’s president, Andy Konovodoff, they have seen a great turnout so far this year, which is a good indicator of good things to come in the rest of 2018. More Chicago area homebuilders are experiencing a good start to 2018 and projecting strong demand to continue into spring, summer, and fall. This trend is likely reflective of consumer confidence throughout the US and other markets should expect similar results. Chicago’s Daily Herald has an article by their correspondent Sherry Giewald detailing more area homebuilders’ experiences and projections for 2018. With the currently anticipated boom in the housing sector, ASTRALCOM is helping home builders in developing effective marketing strategies aimed at attracting new buyers. Check out my recent blog post about how builders can set themselves apart from the crowd and be a cut above the rest. Contact us today and our team of experts will help you to achieve your goals.